Just beautiful. I admire your courage, resilience and honesty. You are a beautiful person inside and out. 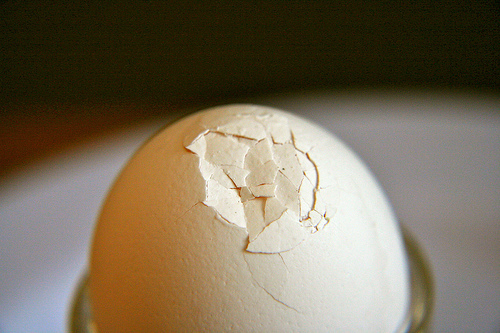 You may have cracks but they make you the spectacular humans that you are. Thank you. Your praise means more to me than you know! Thank you for sharing your experience. As a new mom, I really appreciate an honest post to remind me that all Moms have cracks for some reason or another and at times we all feel so incredibly vulnerable to their power over us. I can’t imagine exactly what you went through, and I am so sorry you had to endure that. I am here to encourage you to keep writing. It’s important and it also has incredible healing potential. Know that the fear may never go away completely, but that love is a great healer. And you are loved by so many people. Thank you for coming back to writing, and for sharing this difficult time in such a beautiful way. You are amazing! I had no idea you guys were going through all this. I cannot even imagine how hard it has been. Your words just found their way into my heart and I am feeling them so much right now. I hope you will find the way to fill your self up again, you have everything that takes and a beautiful family to help you do so. I’m sending you hugs and positive thoughts and a cuddle for your little one, so young and so brave already! Buona fortuna e tanti baci tesoro! Saluta Simone. Thank you so much for your kind words and positive thoughts, Patrizia! Myles is doing great and we are all moving forward day by day. Hugs to you and your family! You are a wonderful writer—I don’t think that I would have ever been able to articulate what you are going through in such an eloquent way. You have a brave little boy and he has a really brave and strong momma! !